Graduated from Parkland College in Champaign, Illinois in 2004. She completed her A.A.S. in dental hygiene and graduated with honors. Her certifications include the administration of local anesthesia, delivery of nitrous oxide, and the use of Laser Assisted Periodontal Therapy in the treatment of periodontal disease. She attends continuing education courses in order to provide the most up-to-date, and best quality dental care available to all of her patients. 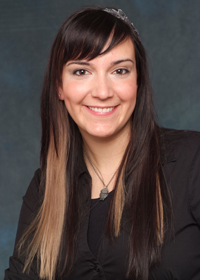 Amanda is passionate about dentistry and enjoys building relationships and educating her patients. She enjoys working in conjunction with the doctor and the patient, to help them reach optimal dental health. Amanda has done two dental mission trips to India in both 2004 and 2006, where she assisted in setting up a temporary dental clinic and provided services for the underserved. She was involved as a youth group leader at her church and can often be found volunteering and attending the special events within her church. Amanda prides herself on being a Northside Chicago native and currently lives on the Northwest side of Chicago with her husband Clyde, daughter Azelia, and son Apollo. 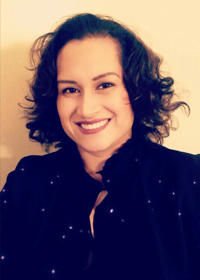 Maria has been a dental assistant since 2007 and enjoys interacting and building relationships with our patients to make them feel welcomed and comfortable. Maria is bilingual and takes pleasure in helping our Spanish speaking patients become educated on their oral health. In 2005 Maria married the love of her life in Francisco, and they have three children together. In her spare time, she takes pleasure in cooking and spending time with her family. 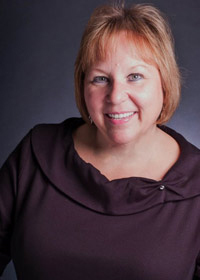 Sue has been in the dental field for over 30 years. She spent most of her time as a dental assistant and now has taken her skills to the front office. When working at the front desk she enjoys greeting patients and making them feel at ease. She is dedicated to making sure that from the moment a patient walks in the door they are welcomed, have an easy check-in and feel at ease. Sue is also our marketing coordinator. She enjoys having the opportunity of meeting the dentist, and their staff that refers to our office. In her spare time, Sue loves baking, traveling, and spending time with her family, especially her granddaughter.